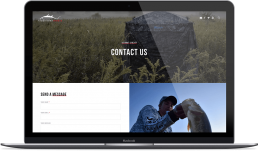 Traditions Media is a powerhouse in the outdoor, public relations industry, but their website needed a kick in the pants to match the quality of their content. Traditions Medias’ original website was a hand-built affair. When they approached Metal Potato for a redesign, the bones of a good website were already there, but the fit and finish wasn’t up to their professional standards. What they needed, then, was for us to tear the website down and put the pieces back together tight and snug, with better layout for copy and a more immersive experience for images that encourages editors to publish their work. Within weeks, we’d crafted a new creative container for Traditions Media that featured multiple, elegant copy layout options. The new website comes powered by more than a half dozen image and video gallery options, to ensure that no two stories need look the same. The company’s rich history of industry awards and success is displayed prominently on the landing page, which also immerses visitors right into the outdoor world via a video hero banner. 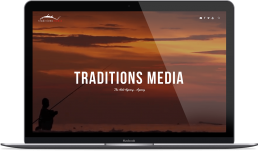 Now, Traditions Media has a neatly polished, professional website that matches the standards of their PR work. Having a care-free website makes it easy to focus on creating content that’s going to deliver for our clients. At the end of the day, keeping them happy is what it’s all about, and Metal Potato makes it easy for us to do that by taking the hassle out of web ops.